This article cites research in collaboration with Professor Jochen Wirtz. Building a superior and sustainable service culture is a vital and complex project that can deliver positive social consequences and lasting commercial results. Many elements will contribute to the success or failure of your service culture building program. 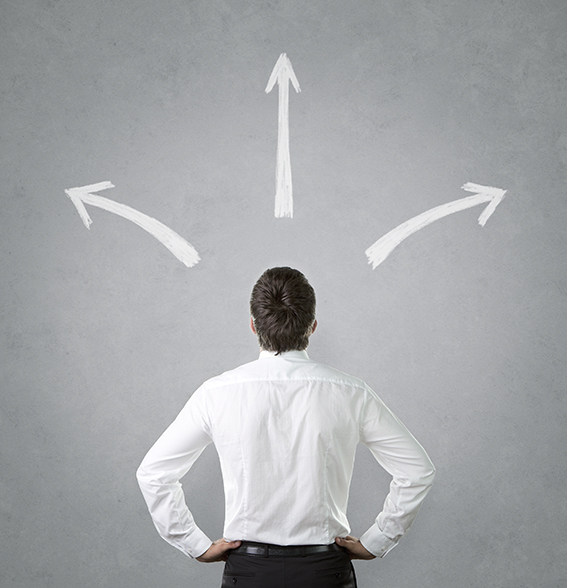 Getting It Right means doing what works and following a proven path. Getting It Wrong means ineffective efforts, wasted resources, and unnecessary frustration. With 25 years of experience in helping leaders and organizations succeed in building service cultures, we have been part of many innovations and successes. We have also seen – and learned from – occasional errors and failures. If you are seeking to achieve a revolution in the service culture of your organization – if you want to change the mindset and actions of a large group to provide a better service to customers and colleagues – then read these “Four Rules for a Service Revolution TM” and consider where your current efforts are frustrating you by getting it wrong, or supporting you by getting it right. Rule 1: Don’t just train your frontline service staff. Instead, educate everyone in the tools and skills of service. We worked with a global telecommunications company who insisted that service improvement efforts in a major line of business should be initially focused only on their frontline staff. Their rationale was that only frontline staff members actually speak to customers, so frontline staff should therefore receive the vast majority of service attention and training. This is a common mistake. Encouraging frontline service providers to give better external service to customers is a recipe for frustration if those frontline service providers not already receiving better service and support from their colleagues in other departments. For example, asking someone on the frontline to go the extra mile for a customer is very difficult if the operations and administrative team behind the frontline are not already providing extra mile support. In this telecommunications company, the frontline’s service to customers was highly dependent upon the financial, legal, product development and logistics support they received from the company’s software developers and hardware manufacturers. Unfortunately, these two essential departments were not included in the company’s initial service improvement efforts, and therefore saw no compelling reason to change. Even worse, as motivated frontline staff tried to provide their customers with better service through greater responsiveness, flexibility, and speed, the software and hardware developers experienced each new request as burdensome, unnecessary, or unreasonable. After a year of frontline employee frustration and many customer service complaints, the company finally included back office and factory employees in their service improvement program. At NTUC Income, Singapore’s largest insurance company, a new CEO declared a bold “cultural revolution” to quickly and dramatically improve service throughout the organization. 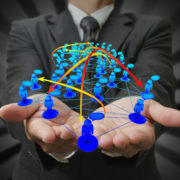 While the vast majority of customer contacts are handled by the agency force during new policy sales, questions, and claims, the company intentionally began their revolution with service education for all working inside the organization; product development, marketing, actuarial, human resources, finance and IT. The service improvement program flourished under the uplifting banner of “Service Alive!”, delivering engaging and value-adding experiences to customers and to colleagues. The first implementation of this project was so internally focused that the company coined an even more revealing banner of “Alive Inside”. One year after the launch of this program, with internal service substantially improved, NTUC Income turned its attention to the customer-facing agency sales force. Since the agents themselves were now experiencing better service, and customers contacting the company directly were also receiving better service, it was natural and welcome for the agency force to bring their standard of service up the new levels already achieved inside the organization. One example of this company-wide service focus was the successful implementation of a unique fraud reduction program. 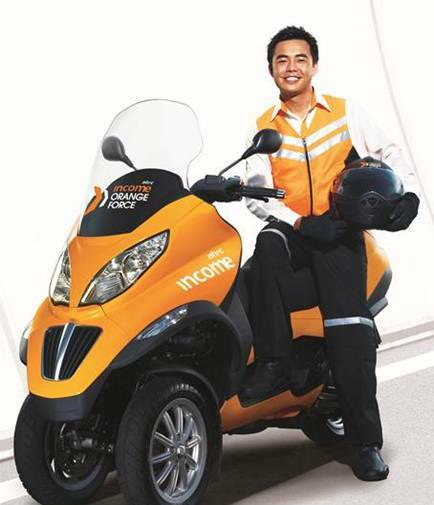 The company fielded a small squad of specially trained drivers on orange three-wheelers onto Singapore’s highways. Their purpose was to locate drivers and cars in distress before towing companies could reach them, securing accurate information on the spot and thereby preventing fraud. However, with everyone educated and passionate about uplifting service, the dispatch team and drivers created a roadside experience so positive that stories about the “Orange Force” flourished in the media and online, creating an unexpected return in brand image and customer loyalty. Rule 2: Don’t just teach the mechanics of better service. Instead, first focus on the meaning and purpose of providing better service to others. A diversified financial services company in India sought to improve their service culture by focusing on the mechanics: standard operating procedures (SOPs), scripts, and checklists. Each part of the company was given free rein to develop whatever mechanics would be most convenient and effective for their department to increase immediate customer satisfaction. And this approach worked. But with departmental efficiency at the forefront, each product group and distribution channel developed their own procedures and the resulting client experience when working across groups was disjointed. Corporate customers struggled to cope with procedural inconsistencies and frequent requests for the same information. Referring someone with a business account to a personal financial adviser was like sending them to a completely different company. This focus on procedures created short term improvements, but missed the opportunity to build a strong and coherent culture of service with the customer at the center. 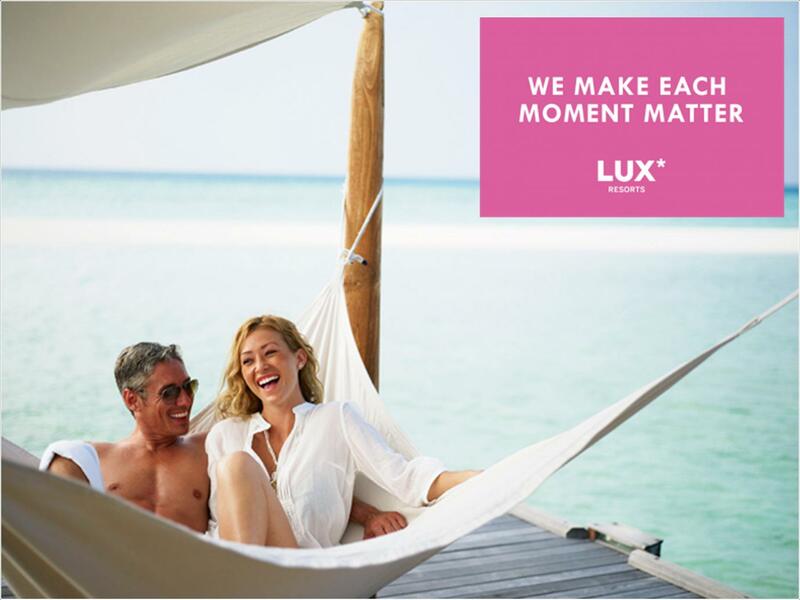 LUX* Resorts launched the transformation of their brand by focusing everyone on the meaning of service. In the resort industry, a vacationer’s time is their most precious resource. Executives want to de-stress. Families want to create memories. Frequent travelers seek new experiences. Honeymooners arrive with the highest of expectations. Rather than focusing on “what to do” in service situations – by the pool, in the restaurant, at the spa – LUX* focused everyone in all positions and all departments on a vision that reflects the true meaning of LUX* hospitality – “We Make Each Moment Matter” – and the real purpose of their jobs – “Helping People Celebrate Life”. With this shared alignment on the meaning and value of service, all subsequent education and training stands on a purposeful foundation. Teaching “what to do” follows easily from understanding “why to do it”. New ideas emerge from all levels and departments. Collaboration across departments and properties comes naturally as internal service departments proactively create opportunities to help their colleagues delight their guests. Today the LUX* service brand is so strong that employees are regularly sought after by other resorts. At the same time, the strength and satisfaction of the LUX* culture is so strong that staff retention is at an all-time high. Post your comment below. Where have you seen an organization Getting It Wrong…or Getting It Right? Agree to this “For example, asking someone on the frontline to go the extra mile for a customer is very difficult if the operations and administrative team behind the frontline are not already providing extra mile support.” We need Accenture to go extra mile. thanks for send valueable tips, will certainly help by implementing the rules of training/ facilitating internal customers, frontliner & working behind the curtain. Out of the park! You KNOW I believe. Getting it right and wrong: In my company, front-line staff were experienced, empowered and follow the marching order: delight the customer, own the transaction. But service levels in home office is not aligned. Frontliners are frustrated and relationship with home office people were strained. The issue remained internal, not transparent to the client. That was 7 years ago. Getting it wrong and right: Today. To allign home-office service levels with frontline(branches), pocessess have been streamplined and automated. Fontline staff are asked to stricty follow processess and use automation. When queueing system goes offline, services are delayed. My company do not feel that frontline skills is as important as 7 years ago. My company thinks that customer service is served using a ‘standard response’. But clients are saying, I asked yesterday from him and he said this. I ask today from you, and you say differently.